Eighty fires in just over 4 months had the people of Accomack County, VA more than a little on edge, and when it turned out to be two of their own, not everyone was surprised. The arsons started on a cold November midnight and didn’t stop for months. Night after night, the people of Accomack County waited to see which building would burn down next, regarding each other at first with compassion, and later suspicion. Vigilante groups sprang up, patrolling the rural Virginia coast with cameras and camouflage. Volunteer firefighters slept at their stations. The arsonist seemed to target abandoned buildings, but local police were stretched too thin to surveil them all. Accomack was desolate―there were hundreds of abandoned buildings. And by the dozen they were burning. 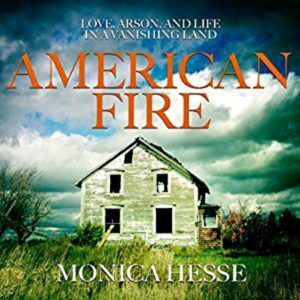 American Fire is a nonfiction book billed to read almost like fiction. The book would be a change of pace for me. It takes place in a part of the country I know little about and covers an interesting crime. i find a crime involving a love story appealing. Previews of What’s Coming – At the end of many chapters, Monica Hesse included a little hint as to where the story was going or what might happen next. Her tactic helped to sustain my interest. A Sense of Community – Hesse did a wonderful job portraying Accomack County and the people who lived there. You were either a “born here” or a “come here.” She showed the evolution of the county from one of the most prosperous in the nation one hundred years ago to one with little opportunity and even less hope. Many of the people who lived there had nowhere else to go and were just getting by. The fires put everyone on edge, turning some into amateur investigators. Charlie and Tonya – The reader knows from the start that Charlie Smith and Tonya Bundick were responsible for the burning of Accomack County, but the story of how and why proves fascinating. Theirs was a complex, sad relationship that seems bound to the constraints of where they lived. 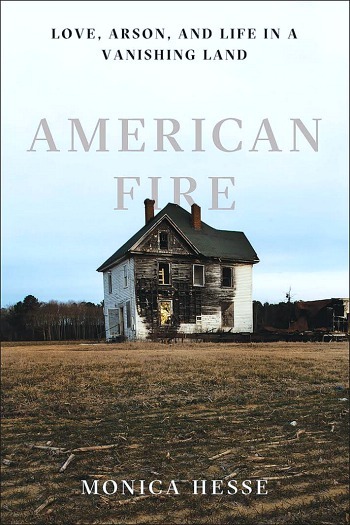 The eventual arrest, confession, and trials were, for me, the most riveting part of American Fire. Science and History – Two chapters in particular I found fascinating. The first dealt with the science behind arson and pyromania and the people who commit those crimes. It also delved into the history and changes in the beliefs about arsonists. Another chapter focused on criminal couples such as Bonnie and Clyde and Carla and Paul Bernardo. This touch of criminal history seemed to add depth to the relationship between (and crimes of) Charlie and Tonya. Lots of Men – There were a whole lot of men in this story: firefighters, fire chiefs, police, criminal investigators, arson investigators, the sheriff, volunteers, lawyers, judges, and more. I couldn’t keep track of all the men and their particular roles. This was made extra difficult because I listened to American Fire on audio. In the end, I was clear on the most important players and found that it didn’t really matter if I couldn’t completely keep track of the rest. Beginning and End – I found the first couple chapters to be a little slow with too much detail about the ins and outs of fighting a fire. Similarly, towards the end Hesse veered off into her own thoughts about rural America and how this could happen other places. That seemed a little preachy, and to me unnecessary. Thoughts on Audio: A huge cast of personalities made it a little harder than usual to follow, but that was easy to overlook. The narration by Tanya Eby was excellent and I thoroughly enjoyed her performance. Glad this one turned around for you! And I found the historical bits about the Eastern Shore fascinating. She definitely got the community vibe right and, though I’ve been going there for about 10 years now, I didn’t know some of the history. Knowing the part of the country where the fires were going on would make this even more fascinating! This is on my tbr! I’m interested in the psychology and science behind pyromania, that sounds like a unique spin on the story. Love your new review format Susie! Thanks, Renee. I’m still playing with the format a little. Some of what I wanted to do doesn’t translate well on WP, so I’ve had to adjust. I love the cover so much! But I don’t think I’m ready yet for another nonfiction… Although I’ll keep this in mind for the future, as the blurb is intriguing! It was great, but if you’re only going to do one nonfiction this summer, I vote for Daring to Drive by Manal al-Sharif. On audio it was amazing! 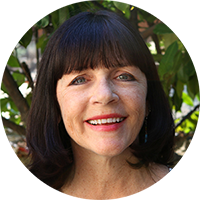 I worked with Monica at the Post various years ago and she always had interesting articles — so I’m not surprised that this one worked on some levels. It’s a crazy crime that I hadn’t know about since I moved away — but it sounds like a doozy. thx for the word on it.